This beautiful Jacksonville NC in-home newborn session was extra special! I first met this lovely couple during their rustic Poplar Grove Maternity session in June. And when baby Madison Rae arrived, I was so excited to capture even more great memories as her parents bonded with her in their home. 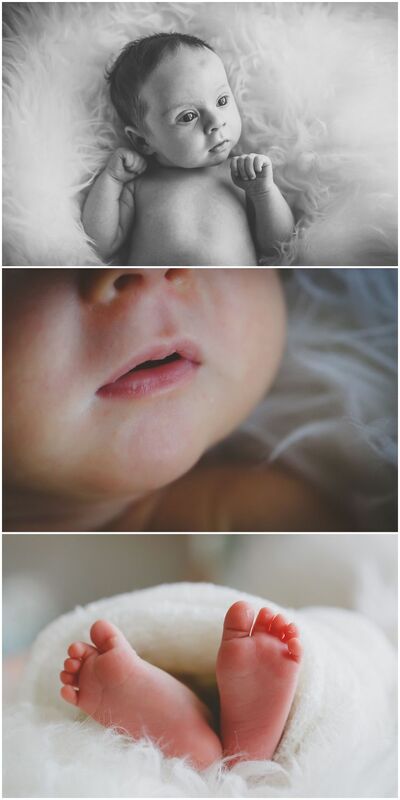 In-home session newborn sessions are a personal favorite of mine. Having the session at home gives mom, dad and baby the chance to relax in their most comfortable environment. During the session, baby Madison got a little fussy. But, this is pretty normal for any newborn session. I always encourage mom and dad to relax and do what they need to do to soothe baby. Sometimes, the babies just want to be held and in that case we just continue the session with them in the parents’ arms. Newborn sessions don’t have to be posed. 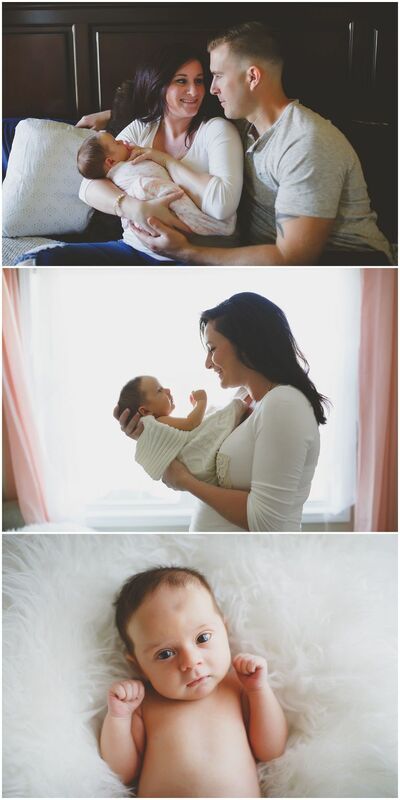 Sometimes the most authentic and gorgeous images of a newborn are in their loving parents arms. Check out this beautiful Jacksonville NC in-home newborn session! 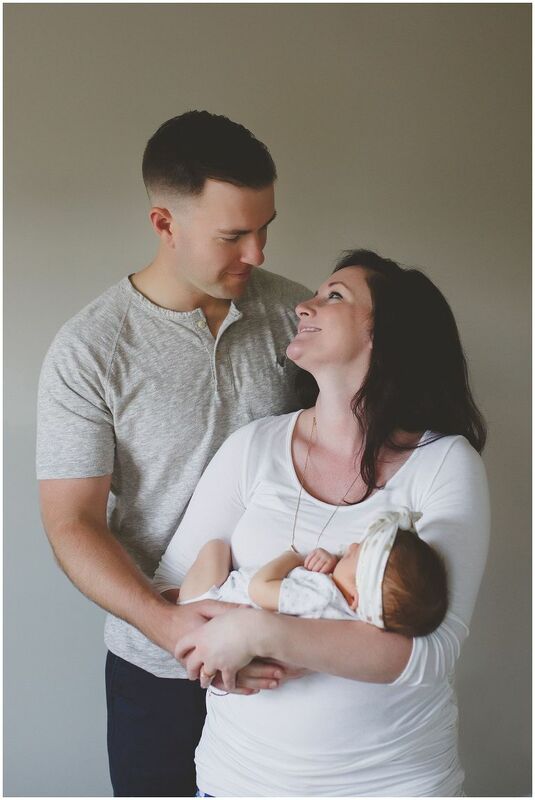 Newborn photos are a great way to welcome the newest addition of your family! Contact me today to schedule your next photo session! 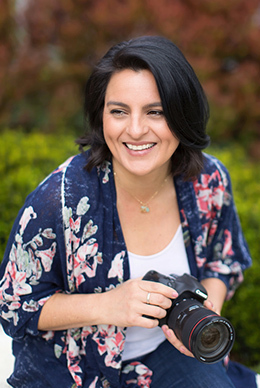 I'm Erika and I am a maternity, newborn, and family photographer based near Wilmington, NC. I use only available natural light to capture authentic and beautiful images that show the magic of childhood and the love between parents and children. Click on my photo to learn more about me or contact me, I'd love to get to know you!